Kathryn Brenzel at NJ.com reports on 13 new developments that could change the NJ skyline. Developers told NJ Advance Media that the increase is largely due to the improved economy and the desire of younger generations to be closer to New York City and mass transit. This is evident in Jersey City’s Journal Square, which is seeing renewed interest among developers. 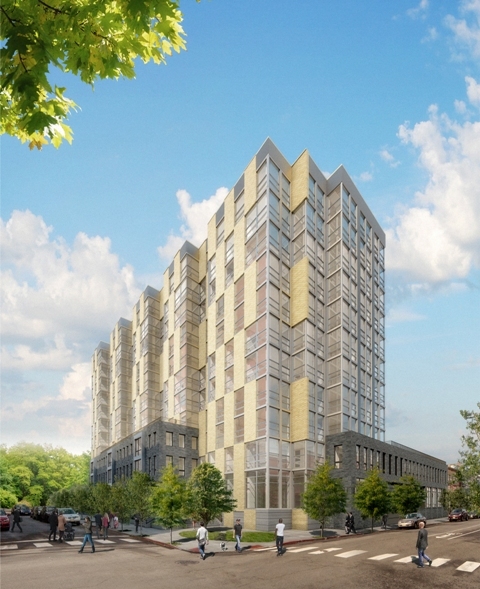 Journal Squared is a planned three-tower project that will bring 1,840 units to the area. The city could also soon be home to the tallest building in the state–a 950 foot-tower planned for 99 Hudson Street. 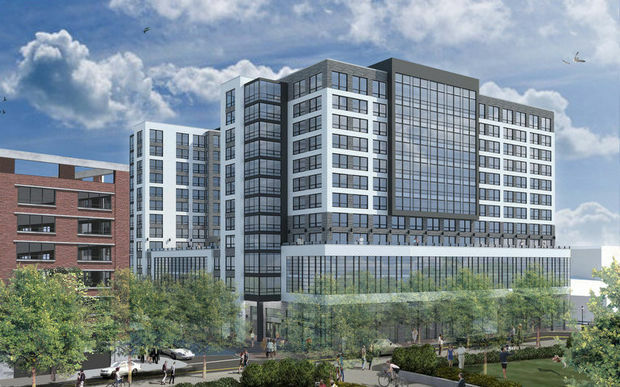 Journal Squared: KRE Group broke ground in October on the first of three towers planned for property between Magnolia, Pavonia and Summit Avenues in Jersey City. 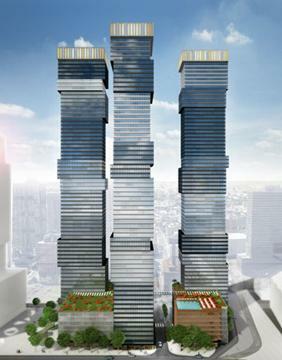 The tallest tower of the $666 million project is expected to reach 70-stories. 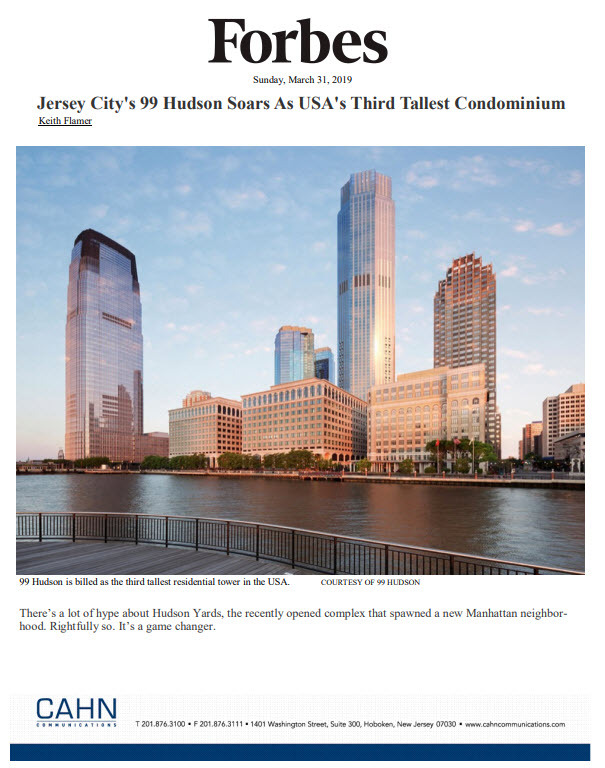 URL Harborside: Mack-Cali Realty Corporation and Ironstate broke ground on this 69-story residential tower on the Jersey City waterfront in January 2014. The $291 million project is expected to be completed by mid-2016. 900 Monroe: Bijou Properties broke ground on this $83 million project in April. The 11-story apartment building is located in Hoboken and is slated to open later this year. 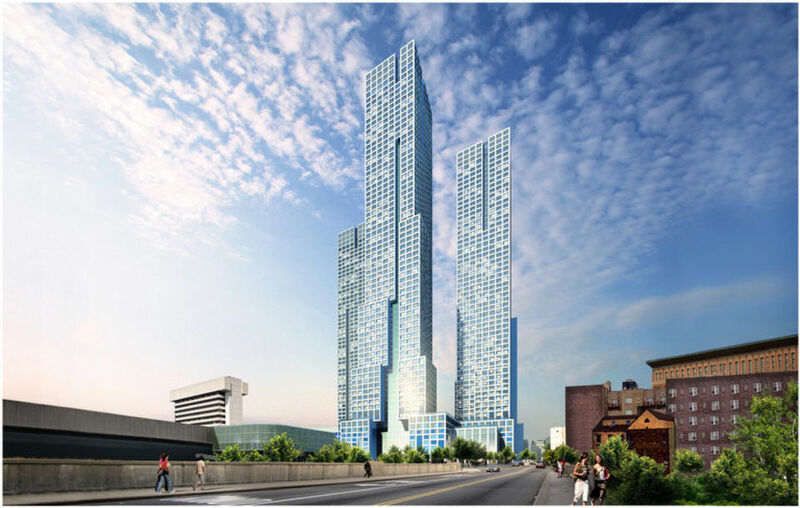 Park and Garden: This $131 million project broke ground in May 2013. The 12-story development by Bijou Properties is located on Park Avenue in Hoboken.